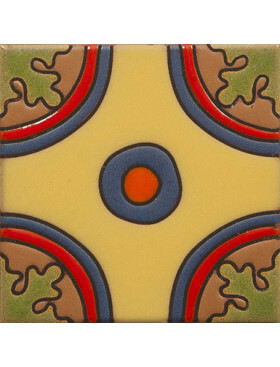 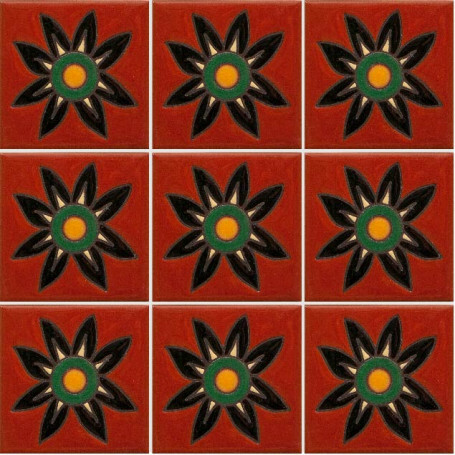 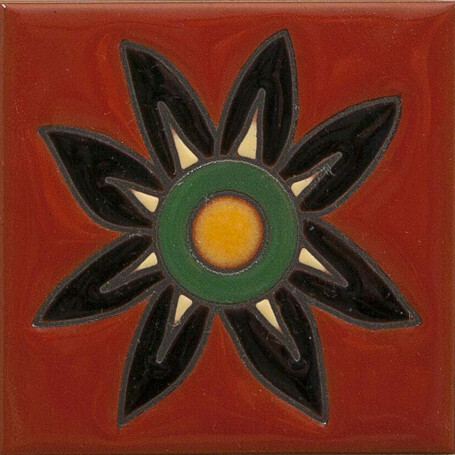 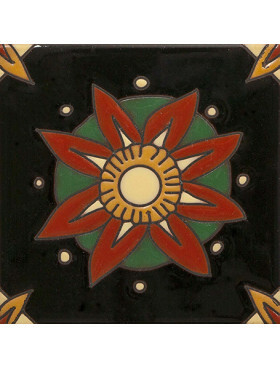 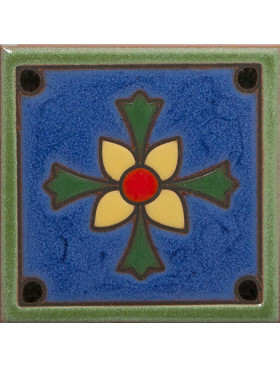 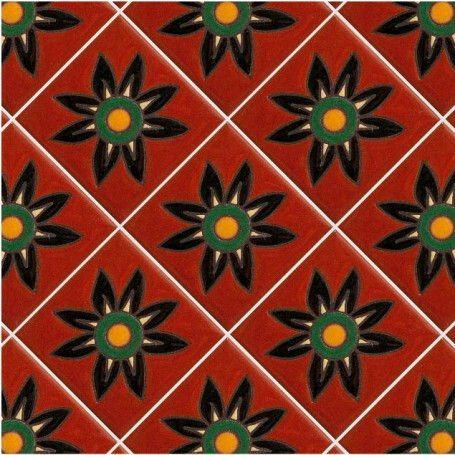 California Revival Belmira Drop-in 4" x 4"
Belmira Drop-In is a great color combination using black and barn red to make a dramatic statement. 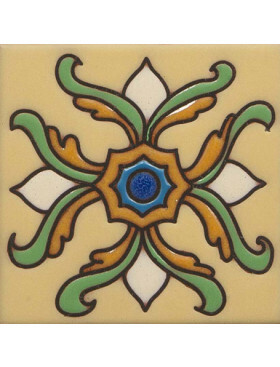 When used in series it reminds us of a patchwork quilt and is old-world charming. 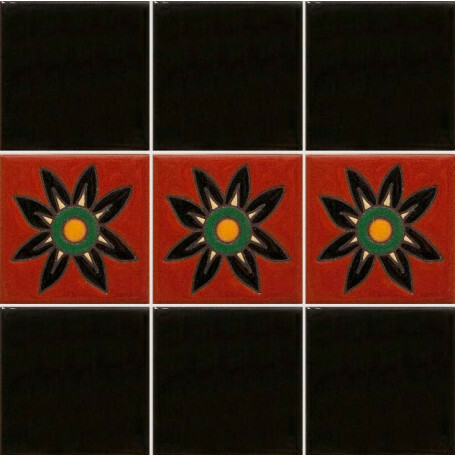 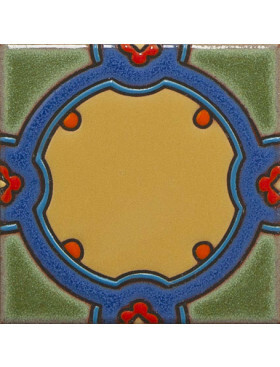 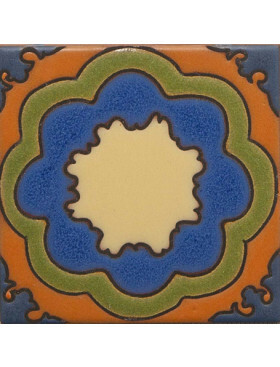 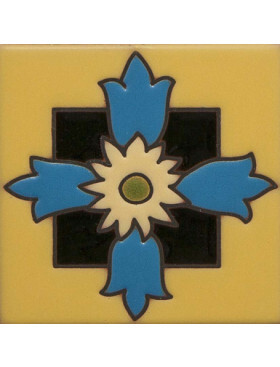 Drop-in means that the tile's background color surrounds the main pattern and the tile does not form a larger pattern when done in series.